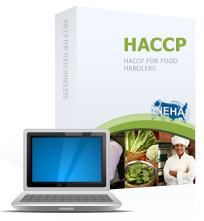 HACCP for Food Handlers provides a quick and effective introduction to key HACCP principles. In less than two hours the course will teach participants about HACCP's history, understanding foodborne illnesses, contamination sources, the types of hazards they might see in the workplace and steps they can take to control them. This course is intended for front line production personnel and HACCP team members. Upon completion participants will gain an understanding of a working HACCP plan and its 7 supporting principles, including how to work as a HACCP team. Participants will also learn about personal hygiene and how good habits can significantly impact food safety which is required by government (FSMA), industry, and auditing bodies. The course introduces food safety regulations, in a simple easy to understand fashion. Approximately .5 to 1.5 hours per module including testing.